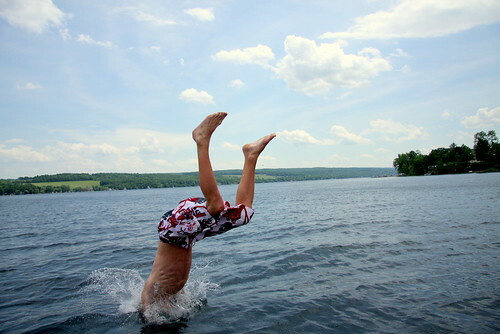 Summer’s here, pools are open, and it’s time for a swim. Which means it’s also time for that annoying clogged feeling in your ears as you climb out of the pool: you have water stuck in your ear. But why does it get stuck in there? You’d think it would flow in and just flow out again. Turns out a basic physical property of water makes it stay in there, and it’s that basic property that you have to overcome in order to get it out. As a result, one side of a water molecule — the side with the hydrogens — has a slightly positive electrical charge, while the other has a slightly negative charge. 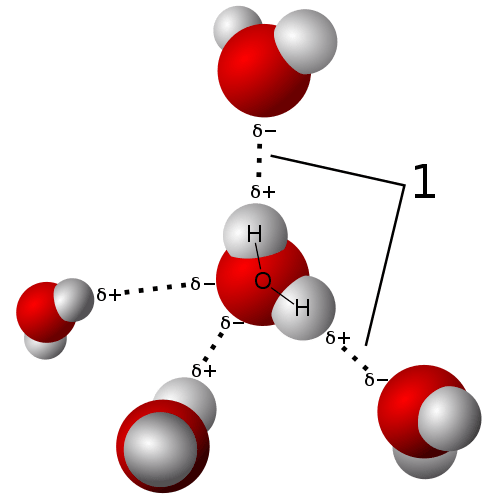 Because of these charges, water molecules strongly attract each other and form what are called hydrogen bonds (the 8’s and dotted lines in the image above). This stronger attraction forms a barrier between the liquid water and whatever is on the other side of the surface. 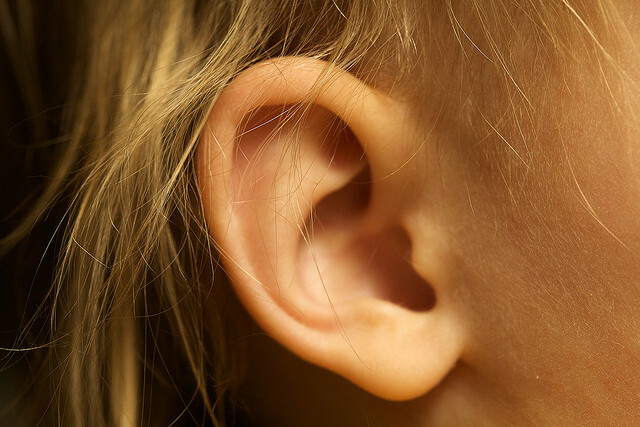 What does all this have to do with water in your ear? 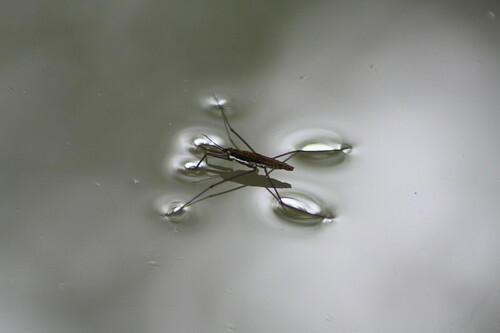 Because of surface tension, water molecules want to stick together in a droplet. It’s the reason small amounts of water will, left to their own devices, form spherical droplets: a sphere is the most stable shape for water because it has the lowers possible ratio of surface area to volume, keeping the cohesive forces at the surface balanced and as low as possible. And when a bunch of water molecules get into a narrow space — like your ear canal — that tendency to stick together gets really strong, and so too does the surface tension. So to get the water out, you have to break that tension. That’s easier in some people than in others; some can just shake their head like a wet dog and the water comes out, others rely on things like alcohol drops to break the surface tension. How easily the water comes out depends on the shape of an individual’s ear canals, and especially how narrow they are — the narrower the canal, the greater the surface tension. And it’s important to get that water out. The CDC estimates that people go to the doctor or hospital between 1.7 and 2.7 million times each year for otitis externa, the fancy name for swimmer’s ear, where water stuck in the ear regularly or for long periods of time provides a fertile breeding ground for bacteria and other microbes (and really, do you want anything to be breeding in your ear?). In 2007, an estimated one in every 123 people in the US had to see a doctor for swimmer’s ear, making it a rather common problem. So the next time you go swimming, don’t just think about your breathing. Think about your ears. And blame cohesion.